A driver convicted three times of a DUI in Los Angeles would probably lose his/her license for some period of time. But taking someone’s license away doesn’t always stop his or her from driving, especially if that driver refuses to learn from past mistakes. Police in Baltimore, Maryland, had to search five days for 38-year-old Wayne Anthony Green, who allegedly killed a 16-month old boy during a police chase. 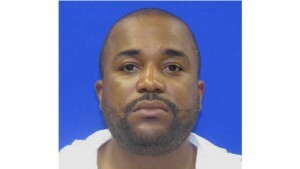 Baltimore County officers started pursuing Green when he hit a police car parked at the scene of a pedestrian fatality. Green didn’t stop, and the county police followed him into Baltimore City, where the driver slammed into a Volvo, which in turn struck the child, Jeremiah Darrin Perry, who was sitting in his stroller. Jeremiah died that night at a nearby hospital. Green received minor injuries in the accident, and officers took him to the hospital for treatment. He recovered enough by the next morning for doctors to discharge him from the hospital, before police had a chance to charge him in the accident. Green left the state, and it took police five days to find him. Jeremiah’s grieving family members questioned why authorities hadn’t charged Green immediately. Prosecutors said they didn’t want Green arrested on lesser charges right away, since they feared that laws against double jeopardy would allow him to walk on the more serious charges. By the time they gave the okay for officers to arrest him, Green had gone into hiding. Police finally caught up with him a few days later in North Carolina. Green shouldn’t have been driving in the first place, since the state had suspended his license. Television and newspaper reporters said that courts had found him guilty of another DUI-related death in 2002. In that case, he crossed a white line on the road and plowed into another car, killing the 54-year-old occupant. Courts have also convicted him of DUI in two other cases. The three-time DUI convict faces charges in both Baltimore City for negligent manslaughter with an automobile, trying to elude police and driving on a revoked license. Baltimore County may also press charges against him.